Mellano & Company is a leading California cut flower grower, shipper and wholesaler supplying retail florists and big box stores with high quality, locally grown flowers, greens, and fillers. Established in 1925, Mellano and Company is family owned and now managed by a half dozen third generation family members. It farms over 375 acres in San Diego County, with wholesale locations in Los Angeles, Orange County and Carlsbad, California, and Las Vegas, Nevada. As a wholesale flower grower, we take great pride in growing the finest flowers and greens and guarantee our products 100%. We partner with like-minded farmers who have the same standards and quality of products to offer to our customers. Mellano & Company has served the floral industry since before the Great Depression. As both a Grower and Wholesaler, the Company has worked tirelessly to bring high quality flowers, fillers and greens to market. Over this span of time, we’ve worked with more than a few of today’s leading floral designers and Mass Channel business, procurement & programming experts; people that we were able to bring on board to spearhead our new Consumer Ready division – a long desire of ours that we are proud to have up and running today and servicing many small and large grocery store chains. With a scientific approach, we are dedicated to the best practices throughout our organization and exacting standards that exceed the industry standards is only surpassed by caring for our land and those of our partner farms. Year-round we produce more than seven million bunches of flowers and foliage from these locations in the perfect, temperate climate of coastal Southern California. From these fields, Mellano & Company has produced signature crops such as ranunculus and myrtle for 30 years and continues to excel with these established crops along with new ones such as decorative peppers. We take pride in the exceptional quality of flowers and foliage that we grow on our land. Produced under the care of two PhDs and a Master-level Horticulturalist, our crops are grown under the most advanced scientific and environmentally responsible conditions. We adhere to strict post-harvest guidelines, ensuring you receive the utmost in freshness and quality. 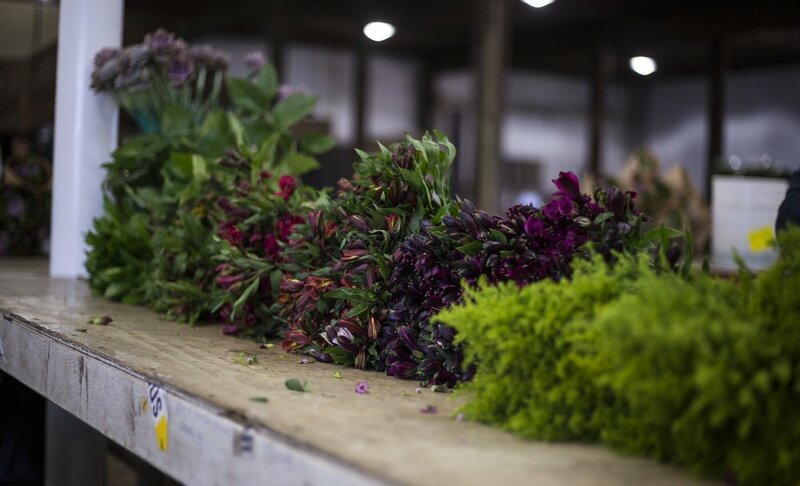 Fresh from the harvest – our flowers and foliage are packed, pre-cooled and prepared for shipment daily. We use more than 20,000 square feet of on-site computer monitored refrigeration with pre-cooling capacity of over 350 boxes per hour. Now with the partnerships we’ve formed with growers from all around the world, our cornerstone “best practices” approach standards and the vision brought by the third generation of Mellano & Company leadership, we are pleased to bring our customers relevant, high quality bouquets that have a custom look and feel and designed to meet the niches in our customers’ floral programs.